Soil amelioration and improvement, Plant selection and installation, All landscape structural activities including Decking, pergolas, Rockwork. Metro Landscape & Irrigation Pty Ltd was established in 2000 when a partnership was formed between Steven Lovett and Mark Barnard. They have been constructing quality Melbourne gardens since 1989. Metro Landscape & Irrigation have the formal qualification, experience and expertise to ensure the successful project management and construction of your garden. 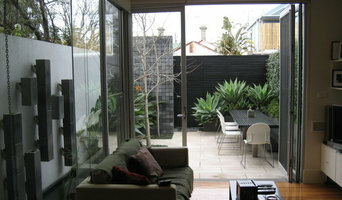 Our focus is on any size residential and small commercial gardens of Melbourne. Metro Landscape & Irrigation consistently seeks to meet the high standards set via an architect’s or clients brief. We have constructed many gardens designed by some of Melbourne’s leading architects including Jack Merlo Design, Laidlaw and Laidlaw Design and Aktis pty ltd. We have also constructed award winning gardens at the Melbourne International Flower and Garden Show. Metro Landscape & Irrigation offer a full landscape management and construction service including excavation, paving and stone work, planting, irrigation, lighting and timber and masonry construction. We also design and consult as requested. Composed Creations Landscaping is an enthusiastic team, committed to delivering uncompromised quality to every job. It is these values that Composed Creations Landscaping stands for. We realise that landscaping is not about creating a garden that keeps growing with your home, but acknowledge that it needs to stimulate, be functional, enjoyable and excite with every step through it. Composed Creations Landscaping incorporates your wants and ideas in a design process that is problem solving and impresses on every level. Our thought process is simple, “The plan has to be done right, so that the job can be done perfect”. Composed Creations Landscaping gets the job done right the first time, every time, this is our guarantee. It is this professionalism, along with honesty and value for money, that has our customers talking about us. Established in 1980, Greenschemes has been providing fully integrated professional services to homes and businesses across the Eastern and Inner Eastern suburbs of Melbourne. Greenschemes has recently obtained its registration to become licensed for Domestic Builder (Limited) Structural Landscaping through the Victorian Builders Authority. DB-L 44739. We have a current 32 year membership with the Landscaping Victoria Association and a member of the Master Builders Association of Victoria. Greenschemes offer services in design, landscape construction in structures and systems for projects ranging from small courtyard spaces to large residential sites. We undertake jobs in plant care and maintenance during the winter months when its the best time of the year to prune and plant. Call us today for a free quotation! Harry's lawn and garden services prides itself on being a professional company offering a friendly and individual approach to all aspects of gardening services Brighton. To do this it is important to understand what you want from your garden. We're all different requirement from a garden design which will vary as much as our demands from gardening services Brighton. You could easily hire service focusing on landscaping services Brighton and get along with concentrating on other commitments. While the agency supplies you with a handyman in Caulfield, they should understand you problems. Golden Gardens is a locally owned and operated garden & tree business. We are highly recommended and have been delivering our services since 2012. Based in the Northern Suburbs of Melbourne, we offer a wide range of garden and tree services to our customers. Qualifed and professional staff - Affordable and customers satisfaction guaranteed. Myself Adam Marshall and i am the Head of The Turning Japanese Melbourne. 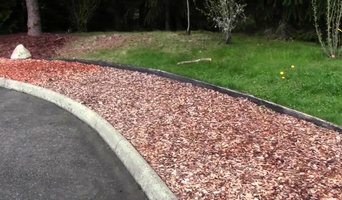 Turning Japanese covers all aspects of landscaping in Melbourne. Our team of landscapers develop modern garden designs to suit any landscaping needs. Adam Marshall, our head landscaper, has vast experience landscaping all garden styles and sizes, from traditional Balinese to informal native gardens and the ultra-contemporary, and ranging from commercial projects to small domestic courtyards. His Melbourne projects date back to 1989. 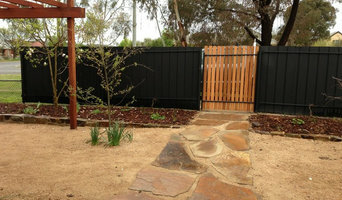 We specialize in providing Japanese Garden landscaping service in Melbourne. Big star lawn mowing is small family business and it is started by Zoran 5 years ago to make extra income for his family. We are Independent lawn mowing Contractor and fully Insured, owner operated which means that you will receive best customer service. Today it is most fast growth business in Melbourne because we can offer quality service and affordable price for our clients. 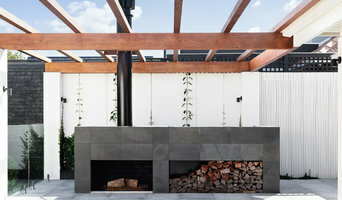 Paul's Landscaping Melbourne is a part of a big brand which strives to provide top quality domestic services. We cover everything from home cleaning, kitchen sanitizing, oven degreasing to outdoor services such as gardening, lawn mowing and pressure cleaning. At Liven It Up Landscapes we offer a complete landscaping service specialising in garden design, construction and maintenance. We pride ourselves on maintaining affordability without compromising quality workmanship. We believe a garden is a place to relax, escape and enjoy whilst enhancing its surroundings and maintaining a visually pleasing aesthetic. A1 Property and Garden Maintenance is an environmentally conscious Australian company recycling today for a better future. 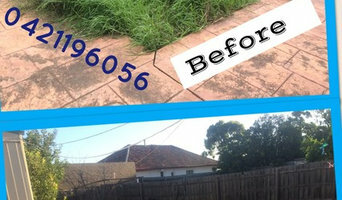 We cover Melbourne, Western and Northern Suburbs, servicing both domestic and commercial customers.